My Packer’s are out of the Superbowl running, which means the big game this Sunday is all about two things – the food and the commercials. Yes, I may be a football mom, and our family may have a love of all things Packer’s, but when they are out, I socialize. I don’t watch the game. I wait for the commercials because let’s admit it, those are typically the most entertaining commercials of the entire year. There are a lot of iconic Superbowl commercials, but I bet if you asked any true blue football fans about the 1980 “Mean Joe” Greene Super Bowl Coke ad where he hobbled down the tunnel, gets offered a Coca-Cola by the young fan, this would forever stand out as one of the most memorable ads of all times. 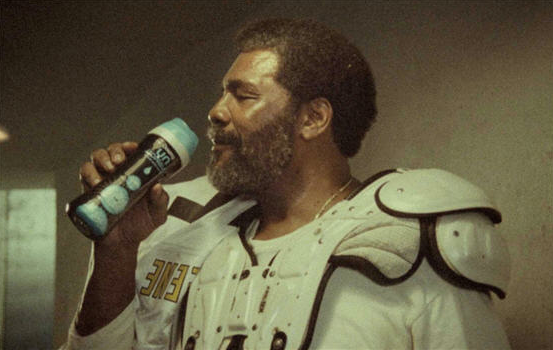 In fact minutes ago, my husband walked through the door from work and I asked him, “Do you remember the Mean Joe Greene commercial where he….” Yes, he finished the scenario. So this Sunday, right before the big game, it’s being done all over again, just 22 years later with a slightly older Mean Joe. There are some fun twists though to this new ad. His refreshment isn’t quite Coke, but the new Downy Unstopables In-wash Scent Booster. And it’s definitely no longer a little boy handing him something; it’s actress Amy Sedaris. I chuckle at this Downy’s Superbowl Commercial because if you’ve ever had an athlete in your house, especially football players who bring their pads and uniforms home, you know the desperation one feels in attempting to get the smell half way acceptable and honestly, in our home, Downy is our children’s number one pick. They ask me to get the “good smelling stuff.” This new scent- boosting formula contains four times more perfumed ingredients than liquid Downy, and I’m feeling quite certain it will finally be a perfect match for our three teenage son’s sports uniforms. If you are like me and would love some free Downy samples. They will also be entertaining viewers throughout the big game by hosting a “Touch Downy” giveaway on their Twitter Page: @downy . Some Twitter followers will win free samples of Downy Unstopables and Unstopable Fan Packages throughout the game. To make the giveaway easy to follow, use the hashtag #TouchDowny. Each time a team scores a touchdown, people who tweet the hashtag at the Downy Twitter account (@Downy) will receive Downy products and gift cards to the NFL shop. So are you ready for some football? Or how about just the commercials? Grab a sneak peak of Downy’s Superbowl Commercial. It brings back so many memories for me. Let’s take a quick poll? Who else remembers the 1980 version? Ask the football fan in your life. I bet they do? “This is a sponsored post by Downy. All fond memories of Superbowl Ads and my family’s true love of Downy are all mine. @Jen, I just got home & had a chance to watch the commercial – SO cute!!!! We really got a kick out of the Hyundai commercial. We put a few up on our blog too.